I’m writing this in a hotel room from a block adjacent from the Moscone West Conference center, here in San Francisco, CA. The atmosphere is incredibly lively and for many developers it’s as close to the developer-version of Christmas you can get. 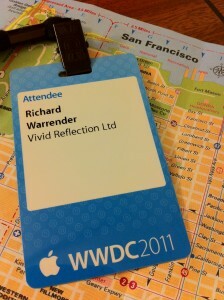 Ha ok I know that sounds a bit over the top but there is lots of optimism about Steve Jobs’ keynote tomorrow. You can feel it! 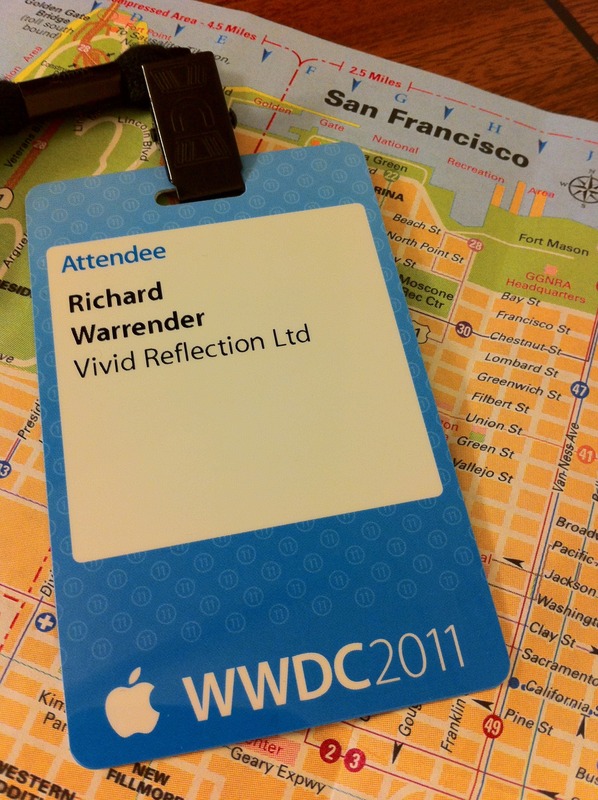 So today I picked up my WWDC attendee badge and hitched a ride on the small army of buses that Jeff LaMarche had arranged to go to Apple’s HQ in 1 Infinite Loop, Cupertino, CA. 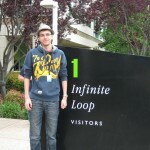 It’s such a historic place in tech history and I was there! 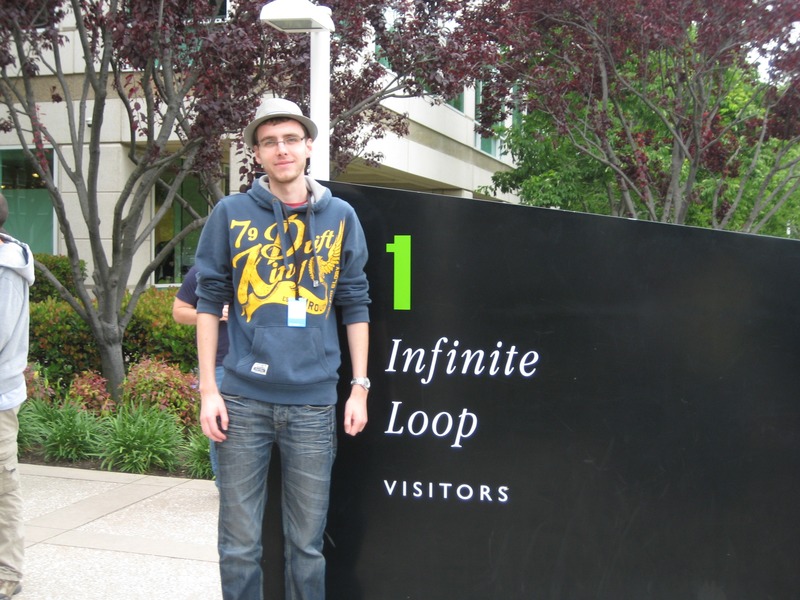 Not only has it been the main home of Apple since Steve Jobs returned to Apple but also features on the front of the Google Map icon on every single iPhone, iPad and iPod Touch.